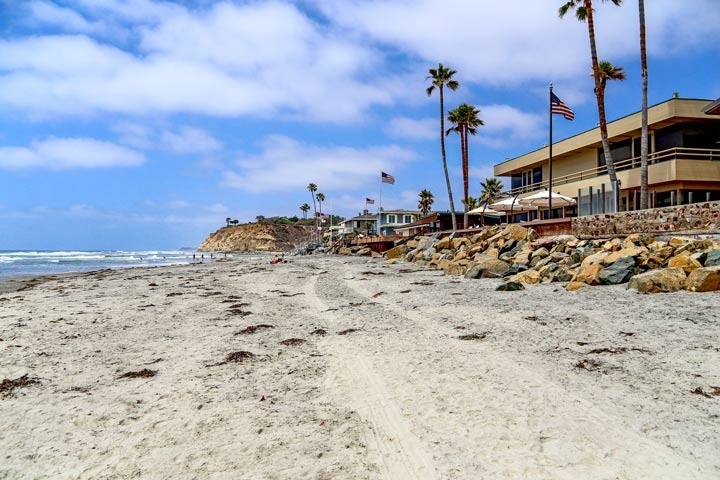 The Del Mar Villas community is located in the beach community of Del Mar, California. Situated on the ocean side of the 5 freeway resides two story townhouses that were built in 1973. The townhouses feature one to three bedroom floor plans that range in size from 638 to 1,472 square feet of living space. Some of the features found in these homes can include private patios, two car garage and living room fireplace. The Del Mar Villas community is under a homeowners association with monthly dues required. The dues are in the low range and include use of the nice community pool and common area ground maintenance. Many of these homes are offered for lease as well on a short or long term basis. Below are all of the current available Del Mar Villas homes for sale and for lease in Del Mar. Please contact us at 888-990-7111 with any questions regarding this community and any of the homes listed for sale here.